One way to resolve environmental disputes, especially between citizens and polluting businesses as witnessed in recent times, is through litigation. Legal procedures and verdicts to settle clashes between two parties could be used as case law to resolve future disputes of a sensitive nature such as environmental ones, to protect those harmed by businesses’ environmental violations. The remarks were made by a representative from the Central Commission of Internal Affairs during a discussion on recently conducted research on environmental disputes and distributive justice by the United Nations Development Programs (UNDP) and the National Economics University (NEU) on Thursday in Hanoi. Class action environmental disputes could be conducted like trade disputes, where court fees are waived for people suing the violating company, and burden of proof is placed on the company to prove their innocence. The UNDP environmental disputes research team, on the other hand, recommended mediation as a good practice from international experience, emphasizing that mediators must be “well-trained and neutral,” which could include environmental NGOs or university-based environmental institutes. 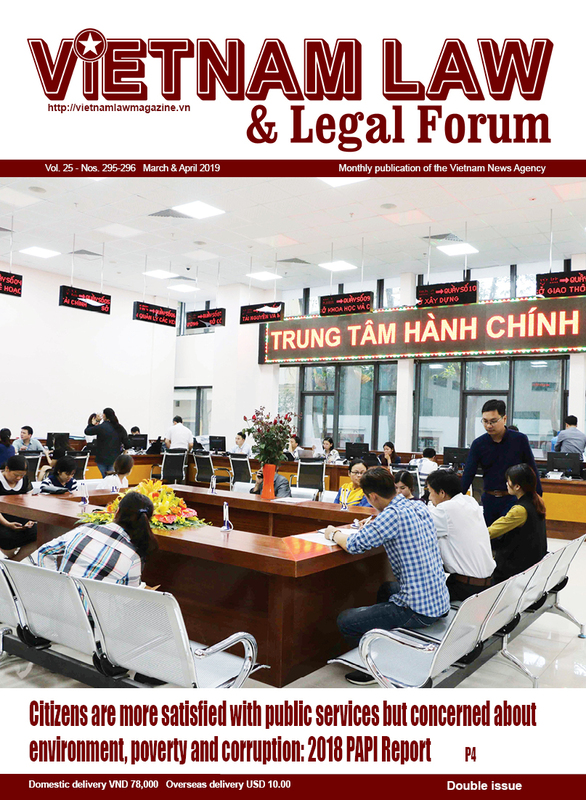 Further, complicated legal procedures and a lack of protection mechanisms for accusers make litigation inaccessible to many, said policy coordinator Nguyen Hoang Phuong from the Vietnamese environment non-profit organization PanNature. 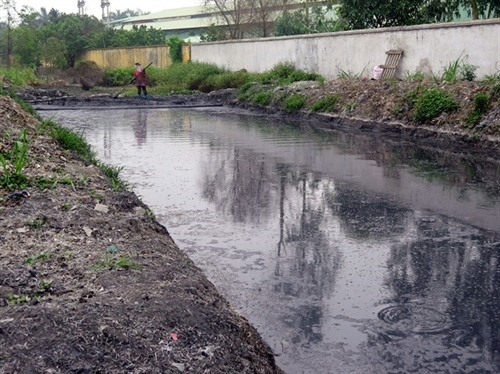 Environmental pollution causes yearly losses of 5 percent to Vietnam’s GDP, nearly five times over the economic loss caused by natural disaster, according to the NEU. 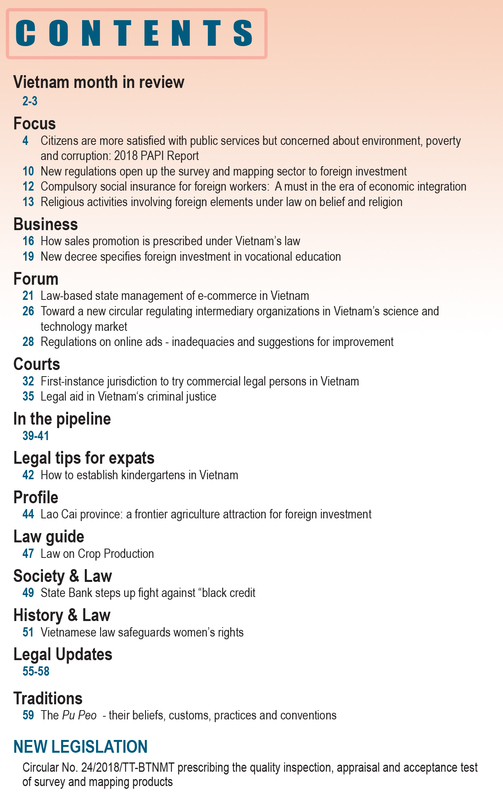 Echoing the message of ‘economic growth not at the expense of the environment’ that the Vietnamese Government, including Prime Minister Nguyen Xuan Phuc, has reiterated multiple times, 77 percent of respondents to the Vietnam Provincial Governance and Public Administration Performance Index (PAPI 2016) said the Government should prioritize environmental protection over reckless economic development. The PAPI 2016 survey also points out that environment emerged as the second greatest concern (12.53 percent) citizens expected the State to address, just after poverty and hunger. Professor Tran Tho Dat, NEU President, said currently in Vietnam, most policy and research activities have focused on levels of pollution or environmental protection, while environmental injustice – the unequal distribution of benefits and harm caused by enterprises, the escalating factor of disputes – remains largely under-studied or inadequately addressed. Assoc. 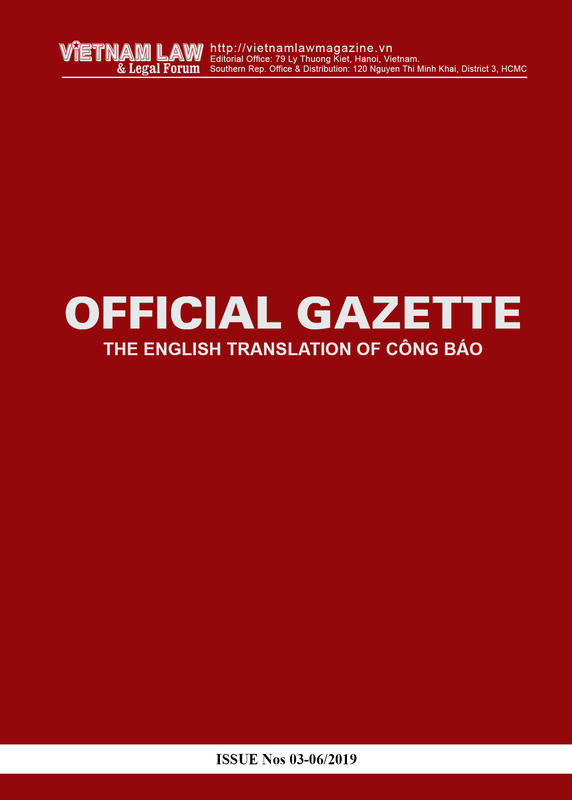 Prof. Nguyen Van Thang, Director of the Asia-Pacific Institute of Management and head of the research’s team, referred to the case of Tan Dong Hiep quarry mine in Di An Town of the southern province Binh Duong. According to the mineral exploitation plan of the province, the quarries in the area were supposed to close by the end of 2015. However, for years, citizens had fiercely protested the mine’s activities, complaining over the unbearable noise, dirt and quakes caused by the mine’s operations. The management board of Tan Dong Hiep had to compensate locals (VND 300,000-800,000 per household). By the end of 2017, two years after it was meant to close, the mine was still running and the operator had asked to continue operations for another two years, hurting local people’s quality of life. Local residents agreed that the mine was important to the local economy’s development, “but why do we have to suffer?” the research quoted them as asking. There is also the case of Thuy Hai Food Company in Thai Binh province where an unpleasant odor was the cause of conflict. In 2011 - 2012, hundreds of local residents built concrete walls to block entry to the company. Inspectors from the provincial environment department said they did not detect any significant violations. The company then dismantled the concrete walls and the people protested, with the opposition escalating to the point where local authorities had to deploy forces to prevent violence. Finally, the bottleneck was released in 2014 where the company decided to relocate, an expensive endeavor, but both sides were reportedly happy. Another case is Sonadezi Long Thanh company in Long Thanh Industrial Park, Dong Nai Province. In 2005, local residents submitted some 300 complaints over alleged environmental degradation caused by the company’s pollution. A third-party research institute in HCM City was called to evaluate the extent of damages, concluding that the company would need to pay VND 16 billion. In both cases, local people who were directly affected by the pollution were not satisfied with the settlement or the settlement process, and they have lingering suspicions that local authorities were colluding with or taking the side of the business. When there is a distrust and unresolved dispute in spite of State-based channels, people “often resort to legally risky protest tactics” to draw attention to their predicament, Thang concluded, adding that the spreading of this practice would disrupt social order. The research team commented that in most pollution cases, the case could stall for a long time as environmental police emphasize the need to catch businesses “red-handed”, otherwise there would be no evidence to hold them accountable. This problematic state of affairs is due to insufficient environmental monitoring and inspections, the research team said. UNDP Country Director in Vietnam, Caitlin Wiesen, highlighted the need to better understand the dynamics of environmental disputes in Vietnam, the socio-economic and political implications to safeguard environmental rights and access to justice. “The case studies analyzed in the research and experience from other countries show that three factors are important in order to ensure environmental rights: consulting with communities before governments take actions that will affect the environment; ensuring individuals have access to information and to participating in decision-making in environmental matters that affect them; and providing access to courts or any mediation mechanisms to settle environmental disputes,” she said. Nguyen Quang Hong, a researcher on environment law from NEU, cited one notable improvement in recent times since the new environment law was enacted in 2014, as now a ‘community meeting report’ must be included in the environmental impact assessment (EIA), which adds citizen’s voice when authorities decide if a business can set up in a certain location. However, while the Ministry of Natural Resources and Environment has placed importance on EIAs, monitoring compliance of such commitments is lacking. Experts recommended that round-the-clock environmental monitoring measures be implemented during the entire life cycle of any project. “After the fallout of the infamous Formosa marine incident, we have learned that the view considering EIA as a ‘skeleton key’ in environment protection is a flawed view, what’s important is forcing businesses to comply with the EIA’s terms,’ Nguyen The Chinh, head of the Institute of Strategy and Policy on Natural Resources and Environment, said. EIAs are just the basis on which a project is approved or not, once the project starts, businesses cannot fall back on the EIA to defend their wrongdoings, but environmental law will now take the central role. Chinh said the environment ministry is studying amendments to the environment law, especially two-step EIA and further involvement of non-State actors.